Today much emphasis is placed on having a healthy smile. But if you have one or more teeth that are cracked, chipped, decayed, or otherwise degraded, how can you best restore your smile to its former glory? Crowns — also known as tooth caps—are a popular dental restoration option that can be adapted to fit practically any budget restraints or tooth status. A crown is a dental cap that covers a damaged tooth, restoring not just its appearance, but also improving strength and functionality. They can be formed to be indistinguishable from any other tooth and can even improve one’s quality of life and self-confidence. Cemented permanently in place, a crown can then be cared for and maintained as easily as a regular tooth. Dental crown costs will vary based on the selected material. Ceramic – Ceramic is another option for those wanting a dental cap that closely matches their natural tooth color. Like porcelain, it can be fused to metal, or can be made into an all-ceramic cap. These are not as strong, which is why they’re more often employed for front teeth. Here in Wichita, crowns are a great option as they can bring about both health and emotional benefits in the long run. 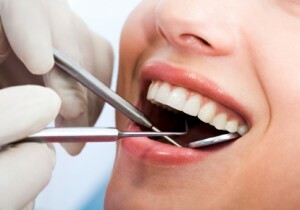 Health-wise they restore your teeth, fill in gaps, and prevent further decay. Emotionally, crowns can offer a big boost to self-confidence as you no longer have to worry about what others might think about the discolored or decayed teeth your smile exposes. Want to learn more about crowns and figure out which options are best for your dental needs? Contact Maple Park Dental Centre today!